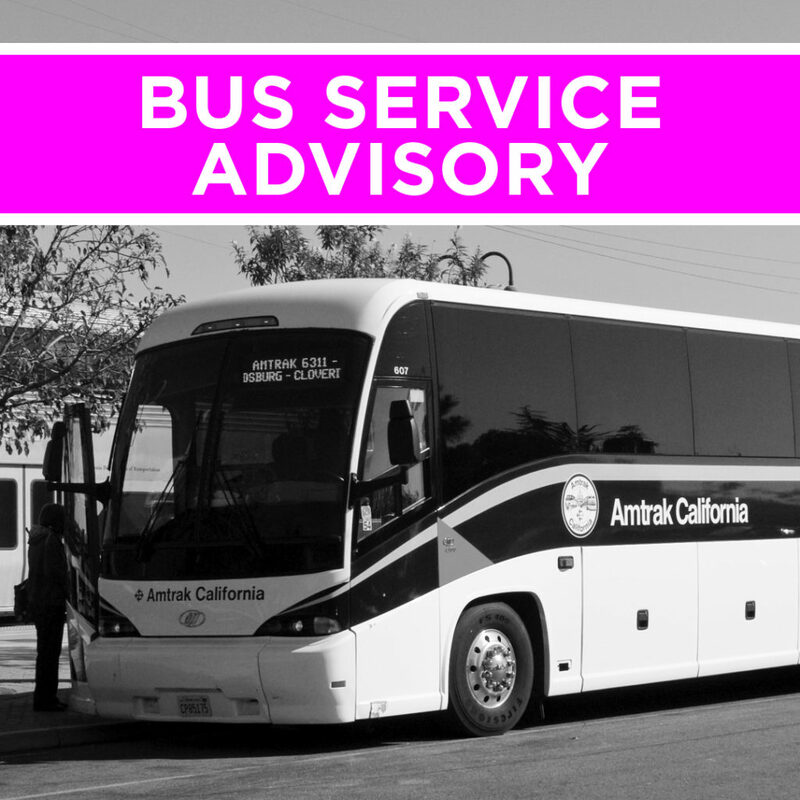 Between Monday, April 15 and Friday, April 26, 2019, the connecting bus stop at Placerville (PCV) will be suspended due to Highway 50 bridge repairs. During the construction, Highway 50 will be reduced to one lane in each direction. Delays of up to 45 minutes are expected Monday through Thursday, with more significant delays expected over the weekend of April 19 through 21. The Mosquito Road westbound on- and off-ramps, as well as the eastbound off-ramp to Broadway will be closed until Thursday, April 18, 2019. Please plan for additional travel time and use alternate routes when possible. Thank you for your patience and for riding the Capitol Corridor!